This foundational work comprehensively examines the current state of the genetics, genomics and brain circuitry of psychiatric and neurological disorders. It consolidates discoveries of specific genes and genomic regions associated with these conditions, the genetic and anatomic architecture of these syndromes, and addresses how recent advances in genomics are leading to a reappraisal of the biology underlying clinical neuroscience. In doing so, it critically examines the promise and limitations of these discoveries toward treatment, and to the interdisciplinary nature of understanding brain and behavior. Coverage includes new discoveries regarding autism, epilepsy, intellectual disability, dementias, movement disorders, language impairment, disorders of attention, schizophrenia, and bipolar disorder. 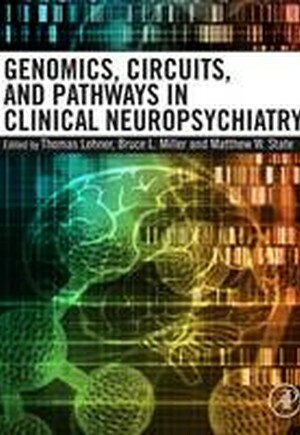 Genomics, Circuits, and Pathways in Clinical Neuropsychiatry focuses on key concepts, challenges, findings, and methods in genetics, genomics, molecular pathways, brain circuitry, and related neurobiology of neurologic and psychiatric disorders.